Mo Foster is now established as a highly respected studio session musician, record producer, composer, solo artist, author, and now raconteur. 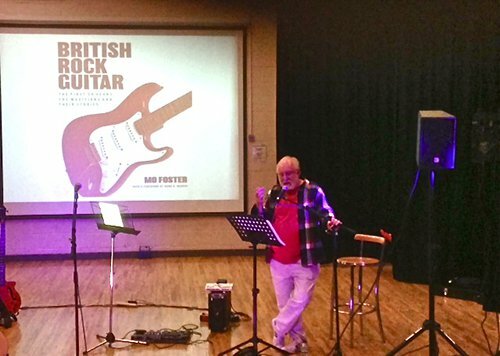 His book British Rock Guitar was published in 2011. For the past couple of years — as part of the promotion for the book —he has been giving illustrated talks at arts centres and music colleges around the country. The illustrated talk is structured around his career, but with stories and images drawn from everyone featured in the book: it is an evening of amusing and revealing anecdotes. Mo is happy to take part in a Q&A session afterwards. To discuss a booking use the contact page.